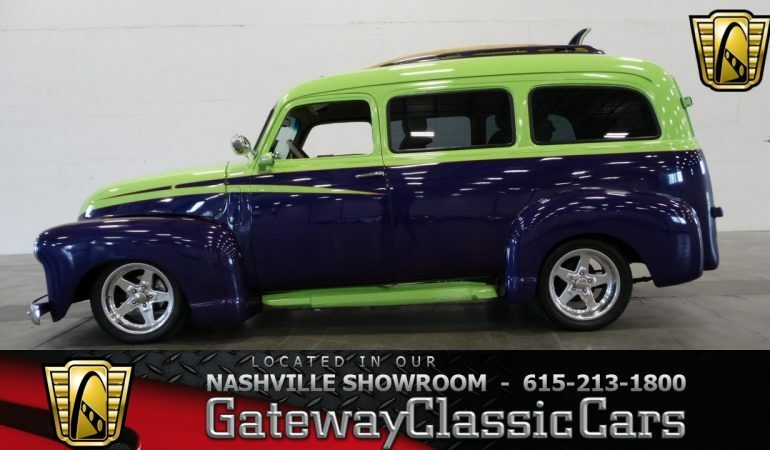 The video will take us to the Nashville Showroom of Gateway Classic Cars where we spotted a an eye catching vehicle, a well restored 1950 Chevrolet Suburban. The first thing that makes this SUV noticeable is the unique color combination that will truly catch the attention of whoever sees it. 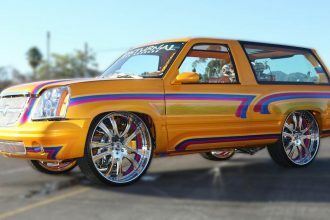 The Purple and Lime paint scheme gave this SUV a retro feel. This particular 1950 Chevy Suburban is powered by a mildly built 350 cubic inch small block Chevy V8 engine. 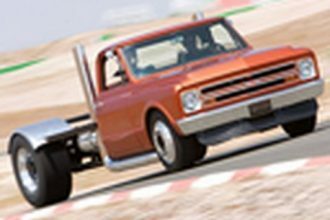 It was plucked from a Z28 Camaro, rebuilt, and placed into this gorgeous hot rod. 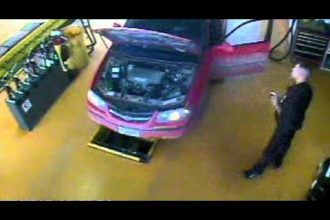 The video shows an overview, an aggressive engine start up and few driving scene! GM V6 On Fire After Oil Change! Funny As F###!